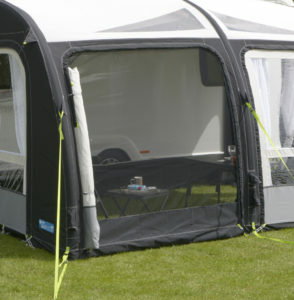 The ultimate inflatable awning and Kampa’s flagship model. 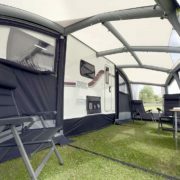 If it’s space that you require then the Frontier will meet all your requirements as it’s one of the largest awnings available. 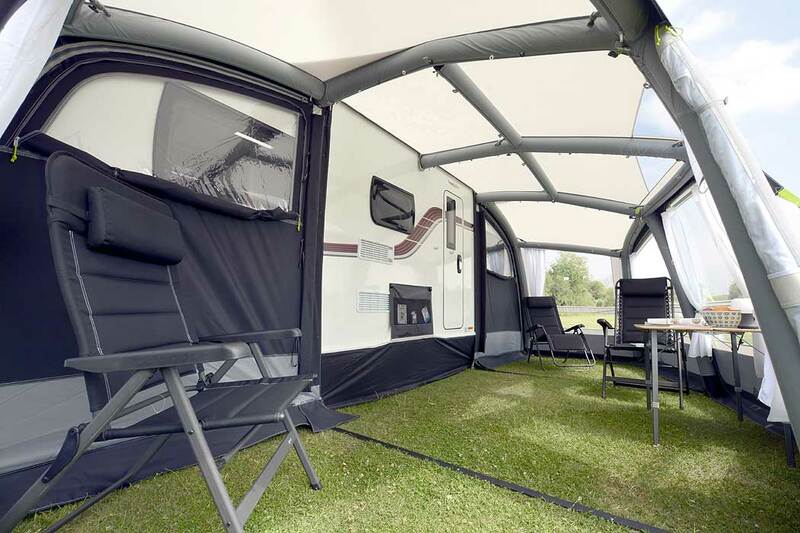 The Frontier 400 is eight metres wide, yet it only needs a caravan with a horizontal awning rail of just over four metres, and the depth is an impressive three metres. 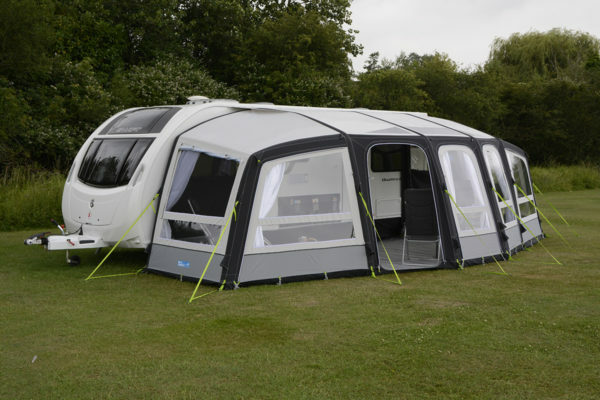 The Frontier 300 is seven metres wide yet it only needs a horizontal rail of just over three metres. 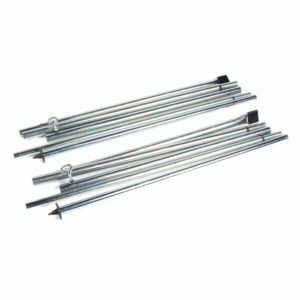 The maximum depth of both sizes is an impressive three metres. 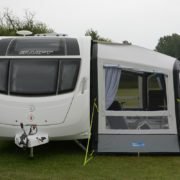 All the centre panels can be zipped down, veranda style, rolled to the side as a doorway or completely removed. 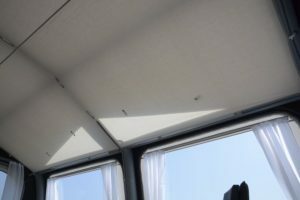 You can zip in mesh panels for those hot days when you want to keep the insects out and these can remain in situ behind the front panels. 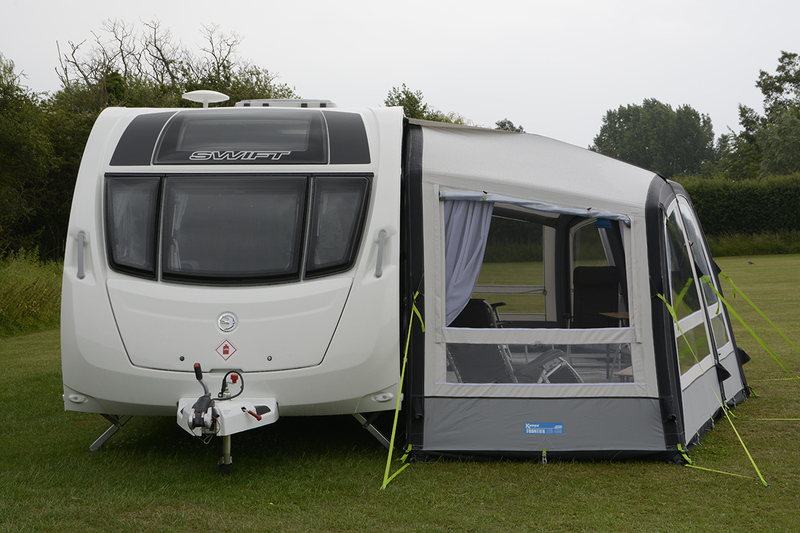 Each of the end extensions has its own front door and a window in the rear panel so, if the extension covers your caravan window, you can still see out into the awning. The rear panels also have zipped access for any lockers behind them. Available in two sizes; 300 & 400.